Road Cycling in the Cairngorms. 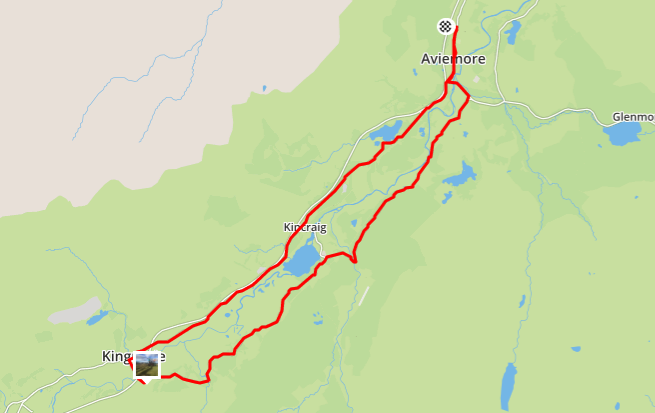 There are a couple of great 50 Kilometer loops that are easily accessible from Aviemore and cover mostly quiet, smooth (ish) roads, follow our website and Facebook page for our road cycling blogs & guides over the next few weeks and make Aviemore your choice for your next road cycling trip. First up bring your own road bike or hire a high quality road bike from Mikes Bikes Aviemore, plan for changeable weather and take a little bit of cash for the great coffee shops in our area. If you’re looking for a classic ‘loop’ style ride then the ‘Kingussie Loop’ has to be top of your list, this can also be cut in half and referred to as the ‘Kincraig Loop’. Heading south out of Aviemore follow the B9152 out of town past the ‘La Taverna’ Pizzeria, this road can be a little fast and busy until you pass the A9 junction, it will then quieten down. The road flows along with no major climbs passing through the little village of Kincraig after approximately 10 Kilometres (this is where you can half the loop). Keep riding straight through Kincraig and the road continues for another 10 Kilometres passing the Highland Wildlife Park to Kingussie. Kingussie is your half way point! There are a couple of cafes in town and the ‘Sugar Bowl’ cafe is definitely worth a visit. It’s hard to miss, it’s located in the middle of the High Street next to the Co-Op. Anyway back to the cycling, after you pass the ‘Sugar Bowl’ cafe take your second left turn past the School and over the Railway. You are now on the B970 and have just over 20 Kilometres to get back to Aviemore. 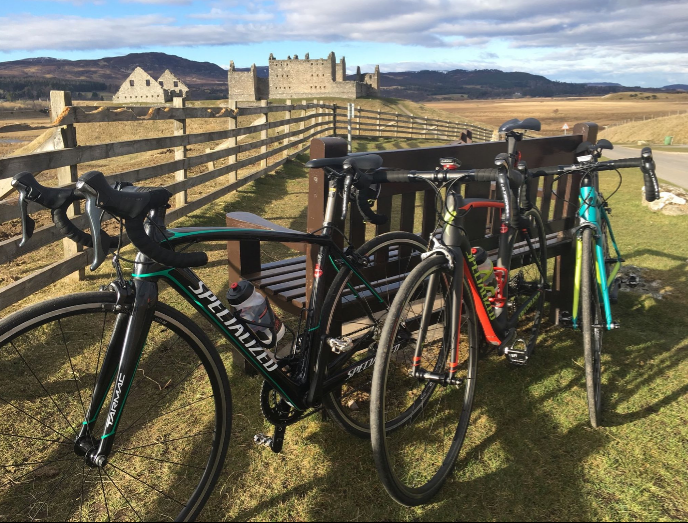 After passing the Kingussie Shinty Pitch (you could describe Shinty as a Scottish version of hockey) you will have a short sharp climb to the Ruthven Barracks Viewpoint, enjoy the stunning view over the Insh Marshes and Ruthven Barracks. Ruthven Barracks is open to visitors all year round, free of charge, so if you’re not Strava Bashing why not pop in for a little history lesson. After Ruthven Barracks you will enjoy a long downhill before the two steep climbs to the Insh Marshes – don’t go to hard on the first one, there’s a second hump to get up! After these two wee hills the road then swoops through Drumguish, past the Speyside Distillery, and into the hamlet of Insh. The road narrows slightly after Insh so just be a little bit cautious if your riding in a large group on the corners, if it’s a sunny day you will enjoy the stunning views of Loch Insh and the Cairngorms as your ride towards Loch Insh. If you fancy a brew, beer or cake be sure to pop into Loch Insh Watersports where they have a cafe, bar and restaurant and cater for many dietary requirements. 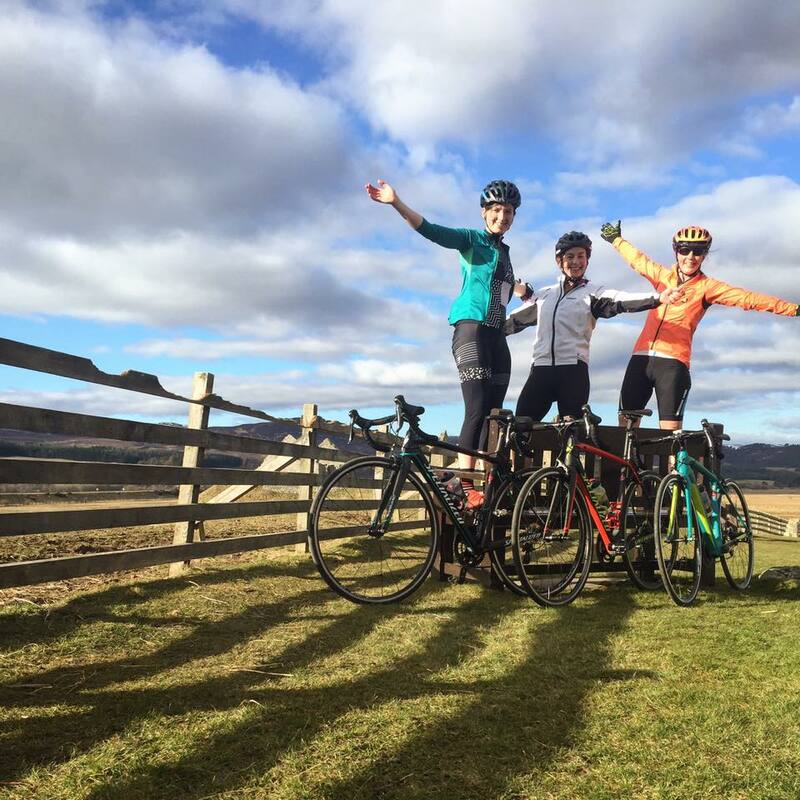 You now only have a short section to go until you’re back to Aviemore, around 10 Kilometers, enjoy the ‘Mur De Feshie’ short, sharp climb after crossing the River Feshie and then riding through the stunning Rothiemurchus Estate. When you reach Rothiemurchus take a left and this takes you back into Aviemore. Why not finish up with Coffee and Cake at the Route 7 cafe, ideally located next to our bike hire centre in the Dalfaber Industrial Estate. Paul and his team have a great selection of Gluten Free Cakes, tasty Coffee and lunches. There’s also a handy Bike Wash station at the back of the cafe. Average Time – Anything from 1hour 15 minutes for fasties and up to 2 hours 30 if you are cruising. Cafes – Route 7 Aviemore, Sugar Bowl Kingussie, Loch Insh Watersports. Make the most of our Half Price Road Bike Rental Promotion in April – Full Day only £18.50!